Yorkshire youngsters Jack Leaning and Will Rhodes have both extended their contracts with the county champions until the end of 2017. Batsman Leaning, 21, played in 10 County Championship matches in the 2014 season as the Headingley side won the title for the first time since 2001. Bowler Rhodes, 19, has played in two Twenty20 matches for the White Rose. Leaning told the county's website: "It was very special to be part of a winning team in my first full season." 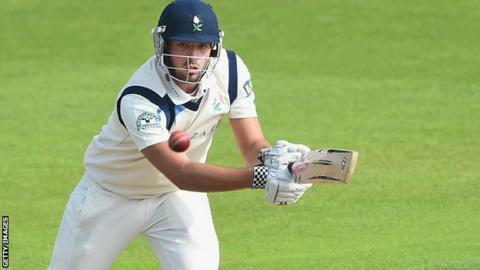 Yorkshire have tied six players to contract extensions since the turn of the year. Ryan Sidebottom, Steve Patterson, Alex Lees and Adam Lyth have all agreed longer deals with the White Rose county.